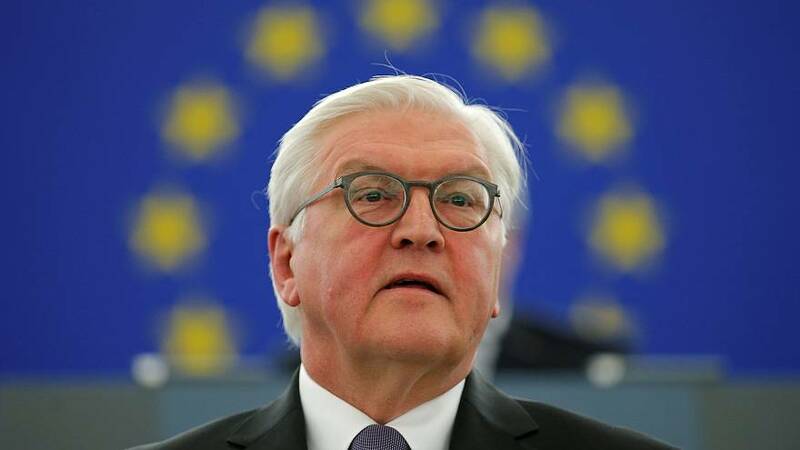 German President Frank-Walter Steinmeier says he would favour an initiative to end anonymous commenting on the Internet, and social media websites, in an effort to promote frank democratic discussions and curb hate speech. Steinmeier, in a joint interview published today with Ouest-France and Germany’s Funke, suggested open debate, in which the identity of an Internet commenter is revealed, would promote democratic discourse and check the ease with which some revert to harassment or hateful speech when conversing on the Web. Steinmeier’s comment comes as Germany’s cabinet approved last week a draft plan to fine social media networks up to €50 million if they do not quickly remove hate speech from their websites. The bill has been criticised in Germany for potentially threatening freedoms of expression and critics contend it would give private companies, not German courts, the final say on what is considered illegal speech. Steinmeier, who said in his interview he has personally been the target of “appalling messages”, said removing the Internet’s anonymity would be a way to promote civil discourse, which, he argues is vital to upholding democracy. According to Germany’s draft law, social media companies would be given 24 hours to delete or block what it calls obviously criminal content. It would also require companies to deal with lesser offenses within seven days and report to the complainant on its decision. The law also authorises courts to force social media sites to reveal the identity of those posting criminal messages. Germany, however, is not the only European country tightening its rules on online speech or internet privacy. The United Kingdom, following the terror attack on Westminster in March, has asked tech companies do more to give police access to smartphone communications and restrict extremist content on Google or websites including YouTube. In France, presidential candidate Emmanuel Macron promised he would step up efforts to force tech companies, including Google and Facebook, to share encrypted messages with police if he gets elected president. On Thursday, April 13, Facebook in France said it was taking action against at least 30,000 fake accounts in an effort to fight against the spread of spam, fake news, hoaxes and misinformation. With fake news and allegations of Russian interference in Western elections as backdrop, the tightening of rules has sparked a debate in Europe regarding online privacy. While some see the Internet’s anonymity as a hindrance to law enforcement and civil debate, it has provided a level of security for those where dissenting speech could be criminalised. The series of pro-democracy revolutions that swept through several Middle Eastern and North African countries starting in 2010 including Tunisia, Egypt and Yemen, could maybe have been blunted without demonstrators able to mobilise support online in relative anonymity. And while Steinmeier acknowledges Internet users have come to expect a certain level of anonymity online, and that it is of “vital importance” in “many authoritarian states”, he would nevertheless prefer going without it. “I think it would do good to democracy that political debate, and political quarrels be conducted openly, and as adults”, Steinmeier said.